The average rainfall for a given region can be approximated by taking samples from scattered weather stations. But that sparse distribution of samples can make it difficult to form a truly accurate map of rainfall patterns—which can be invaluable for predicting floods. So researchers from the University of Hanover in Germany have come up with a better, and surprisingly more accurate, approach: measuring the speed of windshield wipers. When you think about it, the speed of your vehicle's windshield wipers is directly correlated to how hard it's raining where you're driving. 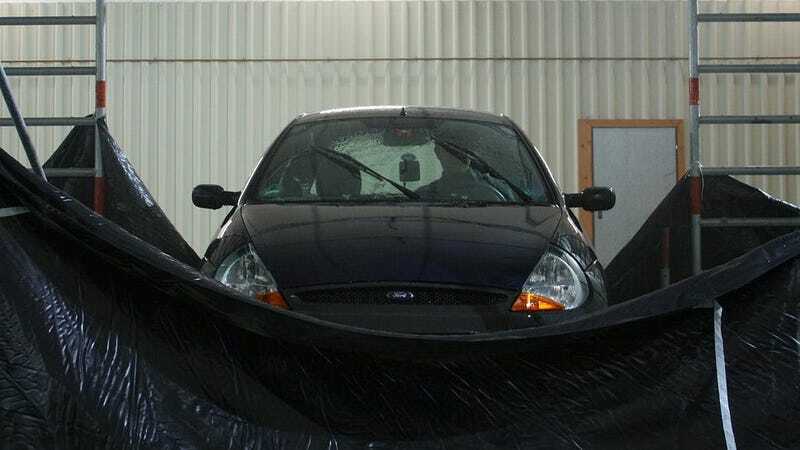 And through various tests, the researchers have determined that being able to track the speed of wipers on a large number of vehicles on a rainy day could provide them with a very accurate approximation of not only how much rain fell, but where it was heaviest. The system would require vehicles to report their location and wiper blade speed whenever it was raining, but from that information an algorithm could be used to calculate rainfall and variations across a large area. It could even take into account windy conditions that would increase the amount of rain hitting windshields, the speed of the vehicle based on the road's limit. as well as variations from vehicle to vehicle on how effective the wipers worked.